Middle school is a busy place! Our goal is to provide grade 6-8 students with as many experiences and possibilities as we can, so they begin to learn how God has gifted them. Below is a sampling of some of the programs we offer. Our athletic program is set up to encourage maximum participation and excellence. This means that at the Grade 6 and 7 levels there are no cuts and everyone who wants to play has the opportunity. In Grade 8 we do make cuts in select sports in order to ensure adequate coaching and practice time. We field teams in cross country, volleyball, basketball, badminton and track and field. Teams participate in exhibition play, Christian Schools’ tournaments as well as in the local leagues for Grade 8. Whether it is a class presentation, a guest speaker, or other special event; chapel is our time to gather as a whole Middle School community and remind one another of who we are as God’s chosen people. Chapel takes place almost every Friday morning, and is another opportunity for students to take ownership of their learning. It is also a time for students to gain leadership experience whether that be as members of a praise team or working with audio-visual technology. Theatre is a way to express humanity, a way to present a little piece of life on stage. 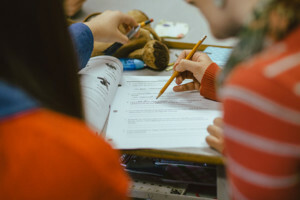 Students are given the chance to recreate their reality and express their creativity, thoughts, emotions, and insecurities. The opportunity to share one’s individual experience of living is very significant for any person, even more intensely so for pre-teenagers. Drama in grade 6 & 7 is a part of the Fine Arts curriculum. We study, use, tweak and play with the ability to communicate verbally and non-verbally. Not only do students enjoy playing drama games which strengthen their thinking and reactions, but they also start thinking about how drama can be used to give a message. Grade 8 Drama is on a semester system and students split their year between drama and visual arts. In Drama 8, students are invited to explore themselves, their beliefs, and their world through character, theme, and plot. Each student is nudged to stretch their imagination and comfort zone. Students in grades 6 and 7 will be able to explore a variety of practical arts and service opportunities during short exploratory courses that we call X-Block. Six modules of X-Block will be offered in which students will be able to choose between a variety of practical, recreational, and service-oriented activities. Besides serving in the greater Abbotsford community, our Grade 8 students also serve as leaders on our campus. Students serve as: Gym Rats, helping to organize intramurals, and open gym times; MAC (Middle Announcement Crew) writes, produces and edits a weekly video announcement segment that is typically shared at chapel each Friday; some students also serve as office assistants, freeing up our campus secretary during morning break; others serve as organizers for school-wide fun activities and theme days, maintaining our campus recycling program, cleaning up after chapel, or running our weekly pizza sales. Knight Sounds Choir is open to all students in middle school. They meet seasonally on Friday’s during school-wide reading. Their music fills the hallways with harmony and song! The choir performs at a number of events during the year. All students are welcome to participate in this. From time to time, extra rehearsals are scheduled dependent upon upcoming events. Our middle school is blessed to have a great collection of age-appropriate literature and resources. In fact we have a collection of close to 9,000 books! 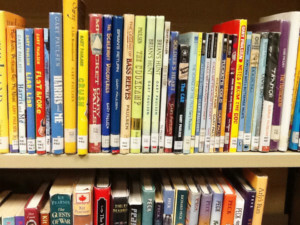 All middle school students have at least one Library block each week. 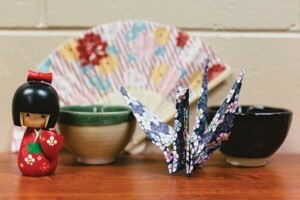 During this time our teacher-librarian teaches skills that support the learning that is taking place in the classroom. This is also a time for students to enjoy book talks, stories and enjoy some quiet time to read. Music in the middle school is noisy, exploratory and fun! In grade 6, students are given the opportunity to learn the basics of guitar playing. They also learn how to play boomwhackers and experience the making of music in a percussion-like form. They further their recorder skills by extending the range of recorder learning from soprano to alto, tenor and sopranino recorders. In grade 7, all students participate in a mandatory band program. Each student chooses a wind instrument to learn. Students have fun learning the basic notes of a scale and build their skill set by mastering band arrangements that are performed. In grade 8, students are given the opportunity to further their learning on an instrument by taking Band 8. Here they learn more complex scales and chromatic notes and develop their understanding of rhythm and harmony. As a Christian school, we believe it is important to instill in our students a desire to serve. They are given the opportunity to get out into the community one afternoon every three weeks to serve others by sorting and helping at various thrift stores, playing games and assisting with recreational programs at care homes, working with Abbotsford City and Parks by counting salmon, planting trees and picking up garbage in the community. Our students participate in a number of extended learning opportunities that happen off-campus. These highly anticipated trips allow for highly engaged learning! Our grade 6’s enjoy a number of special trips throughout the year, including a visit to the Vancouver Symphony Orchestra where all students dress up in their Sunday best! They also visit the H.R. MacMillan Space Centre, and enjoy a fun trip to the water slides. 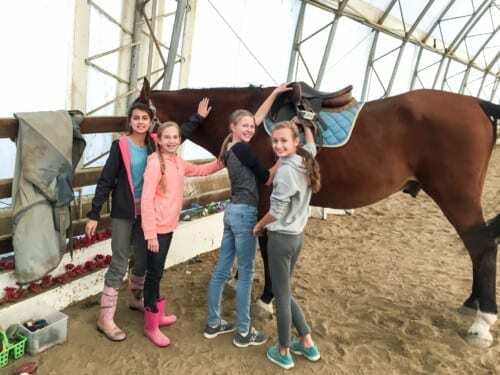 The grade 7 trip to Newcastle Island is one of the perennial highlights for students! This three day camping trip has students (and accompanying parents), working in small groups to delve into their ecosystems unit (and have a little fun along the way). ACS has a long-standing relationship with SALTS, the Sail And Life Training Society. 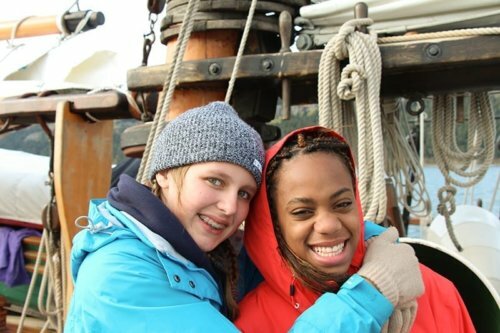 Each year all of our grade 8 students participate in a five-day sailing experience aboard a tall ship. This sailing trip has been designed to apply what students have been learning about oceans and fluid dynamics in their science classes as well as themes from their humanities classes.